سواءً كنت مسافراً بغرض السياحة أو العمل, Maleny Tropical Retreat هو خيار عظيم للإقامة خلال زيارتك صن شاين كوست. يمكن من هنا للضيوف الاستمتاع بسهولة الوصول إلى كل ما تقدمه هذه المدينة النابضة بالحياة. كما يمكن الوصول بسهولة إلى Treasures in Maleny, Giddy and Grace, The Soapbar. إن Maleny Tropical Retreat حريص على توفير الراحة للنزلاء، فلا يوفر الموظفون جهداً في تقديم أفضل الخدمات وضمان حسن الاستقبال. يقدم الفندق واي فاي مجاني في جميع الغرف, تسجيل وصول/خروج سريع, تخزين الأمتعة, واي فاي في المناطق العامة, صف السيارات لضمان الراحة القصوى لضيوفه. استمتع بوسائل الراحة الراقية في الغرف أثناء إقامتك هنا. بعض الغرف تتضمن تلفزيون بشاشة مسطحة, اتصال لاسلكي بالإنترنت, حوض الاسترخاء, غرف لغير المدخنين, مكيف هواء لمساعدتك على استعادة طاقتك بعد يوم طويل. يقدم الفندق مجموعة واسعة من وسائل الراحة المتنوعة، كمثل: تدليك, حديقة. 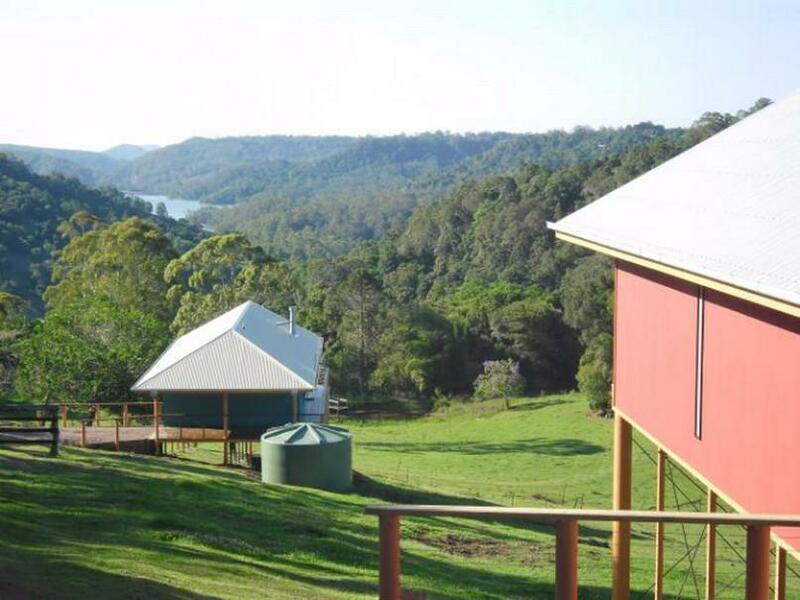 مهما كانت أسبابك لزيارة صن شاين كوست، فإن Maleny Tropical Retreat هو الخيار الأفضل لإقامة مثيرة وممتعة. My partner and I were so pleased with our stay at Maleny Tropical Retreat. If we make it out to the Sunny Coast again we will most certainly be back. Do yourself a favour and take a break at Maleny Tropical Retreat. Spent an amazing weekend in a king spa cabin. It rained for most of the weekend but that just added to the tranquility of the beautiful surrounds. Took a trip into lovely Montville, then spent the rest of the day sitting on the outside daybed watching the rain and clouds rolling down the valley. Staff are friendly and informative and my wife and I will definitely be heading back when we get a chance. The location is great, being close to both Montville and Maleny. A courtesy van from the local hotel picked us up, then drove us back after a fantastic meal at the hotel. The owner could not have been any more obliging. Our room had the most fantastic spa bath. The place was very scenic and very relaxing. It was a very unique and special holiday for us. My friend and I were a little surprised by the fact there was no bathroom door for any privacy, luckily we were able to work around it. The room was just off the dining area where breakfast is served, so if you were not ready to be woken up for breakfast when others were then it was hard to go back to sleep due to the noise. The location between montville and Maleny was great, a lovely outlook over the valley and mountains however definitely more of an intimate couple retreat not so much for friends. Our stay was a delight, peaceful and private, we were wonderfully well looked after and would definitely return. extraordinary service, fantastic rooms and excellent value for money. The cabins, the beakfast, the stunning location. Fabulous place to stay. Unique, comfortable and friendly. Two lovely pooches to greet you, amazing views. Everything you could wish for in a Balinese style cabin. Ken the owner kindly gave me a lift to the zoo (great place!) as I didn't have any transport. Above and beyond the call of duty. Highly recommended. Fantastic! The peace and tranquillity we needed for the night. Absolutely breath taking views. Amazing staff. Most amazing spa bath we have ever stepped foot in (and we have been all over the world). Exceptional breakfast. Wonderful and refreshing. Wonderful hosts who made sure all needs we're catered for. We had a pleasant few days at the Maleny Tropical Retreat. The cabin is self contained and as we had a young baby with us it put us at ease to know that if he acted up it would not bother other guests. The cabin is well equipped with a little kitchen and separate bathroom and spa rooms. Lovely views and cows in the paddock out the front every morning. I would say that although it was very nice, the retreat is not really very balinese. The rooms are very western, but with some balinese decorations. Staff were very friendly and kind and I felt they made an effort to make their guests feel at home. Breakfast was beautiful and we enjoyed chatting to other guests. Stayed 2 nights at Maleny Tropical Retreat with family over the weekend for a wedding - B&B room for mum and myself which was right near the common room where morning breakfast was served. Our room was really comfortable and we had a beautiful view from our balcony. The staff were absolutely amazing and so friendly and accommodating. Most of the other people staying there were couples so I imagine this is a great place for a couples retreat. I really loved that they provided history of their retreat in a folder in each room, including menus for local eats. Wouldn't mind staying there again in future.